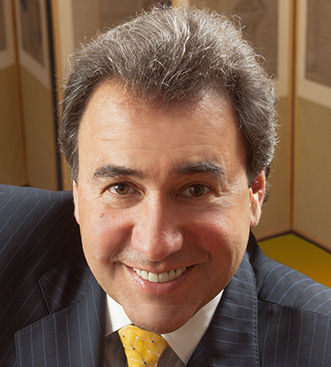 Michael Capasso is the General Director of the New York City Opera. He has produced, directed, and toured opera and musical theater productions in the U.S. and abroad for over 30 years. In June of 2014, along with philanthropist Roy Niederhoffer, he led the successful effort to bring the New York City Opera out of bankruptcy, laying the artistic, administrative, and fiscal groundwork for the company’s upcoming seasons. The revitalized New York City Opera returned to the stage in January 2016 with a celebratory production of Tosca. The company is once again on solid financial footing and producing a 2016-17 season of six fully-staged productions. He began his career producing and directing while still in his late teens and early twenties. In 1981, he, along with Diane Martindale, founded New York’s Dicapo Opera Theatre. In 1995, Capasso conceived and designed a permanent home and performance space for the company, repurposing the lower level of the St. Jean Baptiste Catholic Church on Manhattan’s East Side, and transforming the large, unused space into a 204-seat “jewel-box” theater. Drawing on his background in construction, he was involved in every facet of the project, even personally manning heavy equipment to dig the orchestra pit. Over the 30 years of his leadership, Dicapo Opera Theater presented a diverse programming to the New York public, and, in co-operation with the Armel Festival, premiered three productions of contemporary American operas in Europe. In addition to his work with the Dicapo Opera Theatre, Mr. Capasso has directed operas at l’Opéra de Montréal; Mallorca Opera, Spain; Toledo Opera; Connecticut Opera; New Jersey State Opera; Opera Carolina; and Orlando Opera among others. Mr. Capasso founded the National Lyric Opera in 1991, a touring company that has brought fully staged operas to communities in the American Northeast that would otherwise not have the opportunity to experience live opera. In celebration of the 75th anniversary of George Gershwin’s Porgy and Bess, Capasso mounted a production which began touring in the United States in February 2010. The production continues to tour and was most recently hosted in Mexico City’s famed Palacio de Bellas Artes. As an author, his writing credits include: a staged adaptation of Dickens’s A Christmas Carol; Opera Senza Rancor, a satire on the world of opera; ##Puccini’s Passion##, a biographical play with music on the life and career of Puccini; a new book and libretto for La Périchole; English librettos for Die Fledermaus and The Daughter of the Regiment; and a concert/lecture series for the New York Historical Society. Capasso’s film on the life and career of Enrico Caruso, which he wrote and produced, aired on the A&E Network’s Biography series in 1998. Other film credits include his direction of scenes from Nabucco for the feature film The Secret Lives of Dentists. In 2016 Capasso was awarded an honorary Doctorate from the College of Mount Saint Vincent and the “Legends of the Arts” award from the Harvard Club. He has received New York City’s Ellis Island Medal of Honor, The Licia Albanese-Puccini Foundation’s Lifetime Achievement Award, and the Leonardo Da Vinci Award for Cultural Achievement from the Italian Heritage and Culture Committee of New York. In 2004, he was named “Man of the Year” by the Italian Welfare League and in 2009 received a Special Lifetime Achievement Award in the Arts from the Order Sons of Italy in America.